Weighty Matters: Forget sidewalks, your built environment needs expensive gyms! Forget sidewalks, your built environment needs expensive gyms! So do better built environments impact on obesity rates? 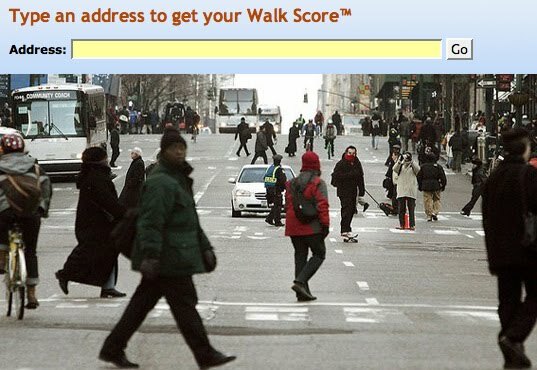 Do sidewalks, recreation centres and greenspace really make a difference? And how do they make a difference? Do they decrease screen time or increase moderate to vigorous physical activity rates in residents? Those were the questions that Janne Boone-Heinonen and Penny Gordon-Larsen set out to answer (presented at last year's Obesity Society Scientific Assembly). To do so they looked at data from the National Longitudinal Study of Adolescent Health along with a spatially and temporally linked geographic information system. Ultimately they explored the relationship between built environment during adolescence and subsequent obesity in young adulthood in 10,865 individuals and then also explored the impacts that the amounts and types of moderate to vigorous physical activity along with screen time had on those same subjects. For women, built environments with more for pay physical activity facilities associated with lower rates of obesity, while less greenspaces associated with higher rates. For men, obesity rates were marginally lower with more for pay fitness facilities, but weren’t impacted by greenspace. Important to note here that walkability didn’t show any significant association either way. So how about activity levels and screen time? Again speaking to the importance of intake over output associations were unchanged after amounts and types of moderate to vigorous activity were accounted for. Screen time also didn’t matter one whit. Of course what the study didn’t set out to explore was fitness levels and fat distribution, both factors which will impact on health, but certainly it would seem that this study too supports the notion that as far as absolute weight goes, it’s about what you put in your body, not about how you move it, and that building more parks and sidewalks, while potentially beneficial to health, aren’t likely to impact on weight. The association with for pay facilities is interesting, especially given the fact that the amount of activity subjects were doing didn’t associate with their weights. Makes me wonder if the number of for pay facilities is just a surrogate marker for wealthier or more health conscious neighbourhoods, and that at least in the transition from adolescence to young adulthood, wealth and family health consciousness may be weight protective as some function of different dietary intake, peer pressure, or parental involvement.